Mia graduated from Kindergarten two weeks ago. An evening of milestones, memories, and family togetherness. At home before her graduation ceremony. Mia in her cap before the ceremony. we headed back to their classroom for celebratory cupcakes. The best Kindergarten teacher ever, Mrs. Traylor. A sister pose outside her school. The fun night continued as we met up with Daddy at a restaurant for dinner. After dinner, ice cream of course! Gracie was lovin’ this fun night. 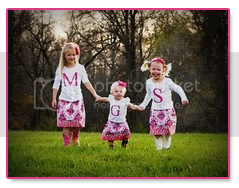 A family shot taken by a fan of all things girly. And here is a shot on Mia’s last day of school. Her last day ever as a Kindergartener. Now, as she likes to remind me, she is officially a first grader. Way to go Mia! She is so darn cute. I can't get over how much she looks like you. Way to go Mia! Enjoy your LOOOONG Summer. You are gonna ROCK first grade! MJ's is in 2 weeks. I.can't.believe.it! You have such a beautiful family, Marta. LOVE. so cute!!!! what a big girl! i can't wait for summer, only 8 more days! So sweet! Love the sister pic! Awh! What a big girl!